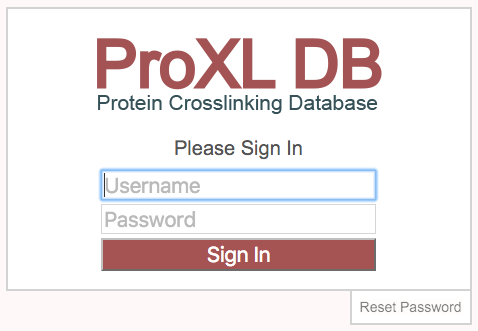 Proxl is a database and web application for viewing, analyzing, and sharing bottom-up proteomics data resulting from chemical crosslinking and mass spectrometry analysis. It includes tools for viewing, downloading, and visualizing data; including tools for comparing data between different searches and pipelines. If downloaded and installed privately, the site administrator may choose to allow public registration (see above) or restrict access to only those who are invited to projects. 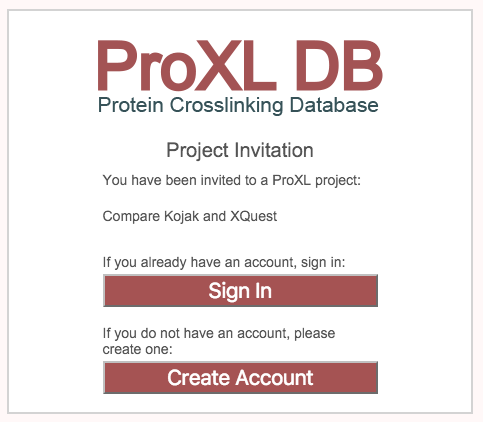 If restricted to invites-only, the only way to gain access to a proxl installation is to be invited to a project by an existing user. Only users associated with a project may invite users to the project. (To learn how to invite a user to a project, see Researchers.) 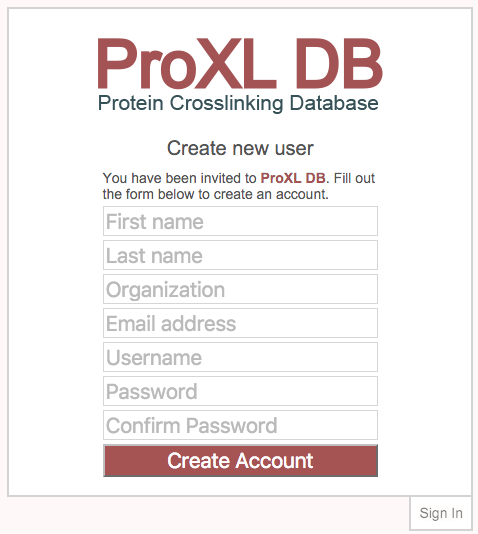 Invitations will appear in your email with a link to register as a user of proxl. Important: Be sure to check your SPAM folder for proxl invitations if they do not appear. Filling out this form will create a new account, log you in, and display the project to which you were invited in your project list. Accessing the URL for any non-public data or the URL for the home page of proxl will produce the password prompt below. Provide your username and password to proceed. If you are unable to remember your password, click the “Reset Password” button at the bottom-right of the sign-in form. Entering either your username or email address on file for your account will send a link to your email address that may be used to reset your password. For security reasons, this link is only valid for 24 hours. 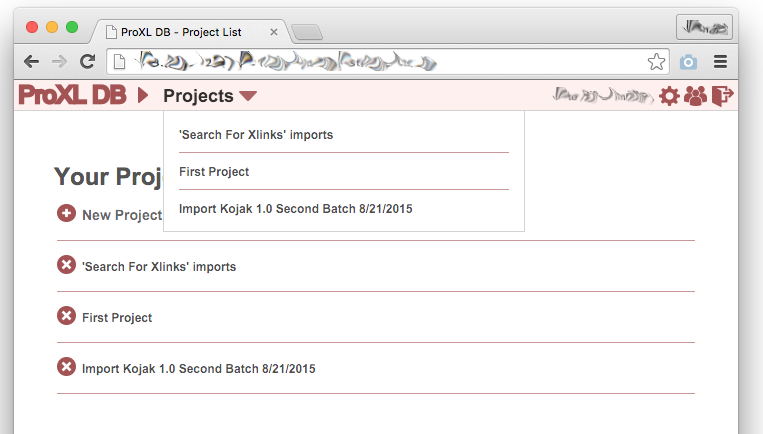 To return to the project list (required for adding or deleting projects), click the proxl icon or the “Projects” text at the top-left of any page in proxl. 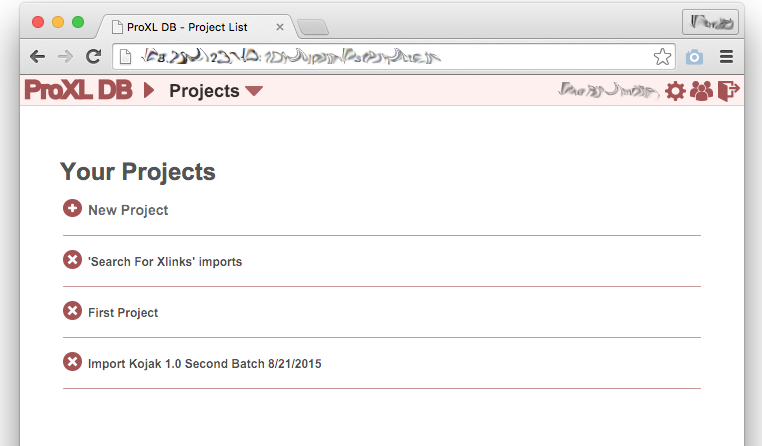 Click the red (X) icon to the left of the project title on the project list to delete that project. Only project owners may delete projects. Once a project is deleted, the project and all associated data will be removed. To view documentation for proxl, click the (?) icon on the top-right nagivation bar present on all pages. To securely sign out, click the sign-out icon at the top-right of the page and close your web browser. 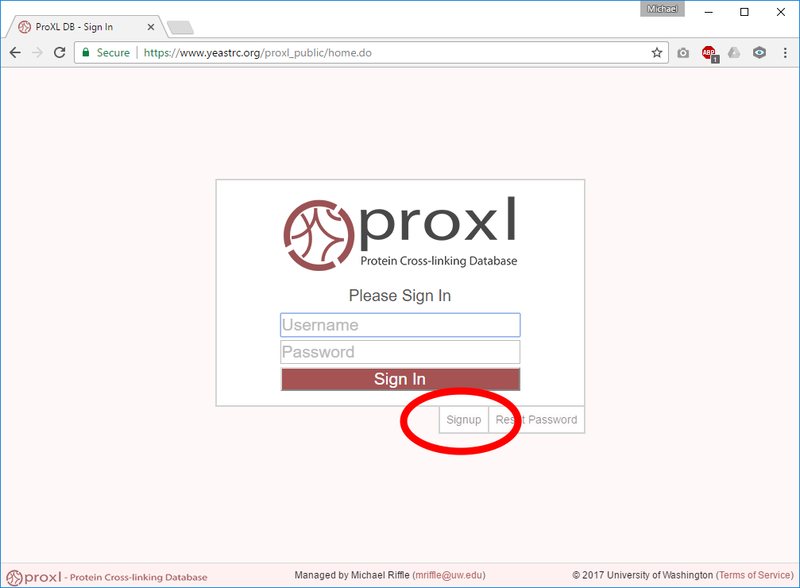 If you are an administrator, you may configure proxl by clicking this link. See Proxl Configuration.